SWOT is an analysis of your business that encompasses four main points: strengths, weaknesses, opportunities, and threats. When we begin to analyze your business, we develop a marketing strategy based on your SWOT. We capitalize on your strengths, improve on your weaknesses, act on your opportunities and help minimize your threats. 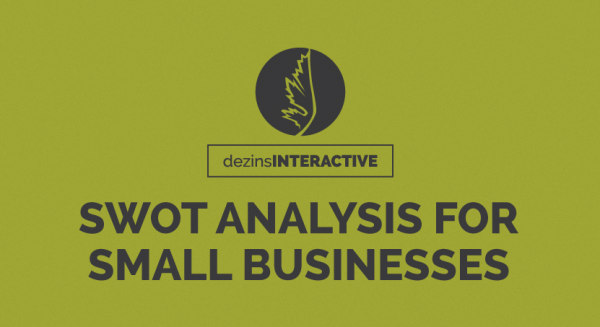 There are different questions we ask when evaluating businesses using a SWOT analysis. Does your website function the way it needs to? What business processes do you have that are successful? Are there services/products that your business needs to be more competitive? Do you have a high turnover rate with your team? Does your location hurt you? Are your marketing strategies working? Do you stay up-to-date with current trends? Does your company know of upcoming events that would be beneficial to attend? Have your digital marketing attempts been successful? Why are these businesses your competitors? Could future developments limit your business? Are your programs, website, and other collateral outdated? Are your prices too competitive? We use research to find out what the best direction is for your company. With a goal-oriented SWOT analysis, your business can stand the test of time. Whether your business is lacking concrete internal processes, engaging advertising material, or services that could completely set you on the map with your competitors, a SWOT analysis helps establish an end-goal. The action steps that result from a SWOT analysis allows our team to work hand-in-hand with your business to reach milestones.